Come up with the categories of behavior that matter most to you. 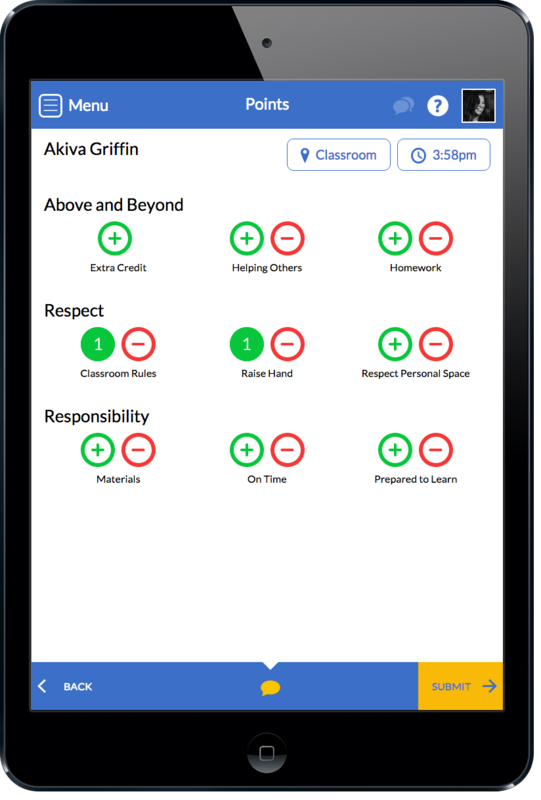 You can set the point value of each item, so that students earn more points for the important stuff. Positive and negative points add up from all teachers. Set up instant email alerts when specific behaviors are recorded anywhere in the building. 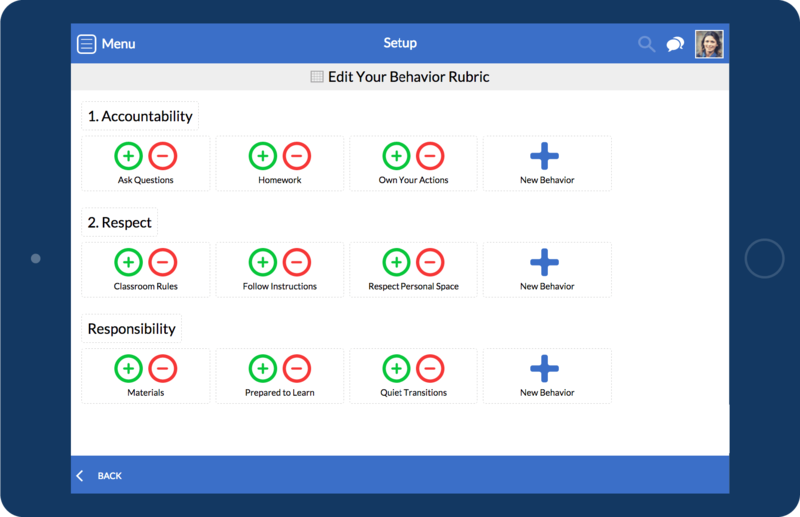 Great for behavior intervention teams and parent teacher conferences. That's right! Pull up all tardies, homework completions, or any behavior you track! Want more data? See the Insights feature.